As a young man Giovanni showed brilliance in a wide variety of different subjects and it was clear that he was extraordinarily talented. His parents encouraged him to begin a judicial career but, after being introduced to mathematics and experimental science (following the works of René Descartes) by his father, it became clear that he had now found the subjects which gave him most satisfaction. In 1695 Poleni began his studies in the school of the basilica Santa Maria della Salute in Venice, where he studied philosophy, then theology, followed by courses of civil and military architecture, drawing, painting and perspective under the guidance of painter Giuseppe Marcati. In 1707 Poleni began to deal with physics, carrying out the first scientific experiments. In the same year, he met Giovanni Battista Morgagni, Italian anatomist, regarded as the father of modern anatomical pathology, with whom Poleni started a friendship and collaboration that continued until his death. Poleni accepted the chair of Astronomy and Meteorology at the University of Padua in February, 1710, and moved with his family to Padua. For over 40 years he kept outstandingly accurate meteorological records which have proved invaluable to later scientists. In 1709 he published his first book—Miscellanea: de barometris et thermometris; de machina quadam arithmetica; de sectionibus conicis in horologiis solaribus describendis, a collection of dissertations on physics, in which he included a description of a very interesting calculating machine. 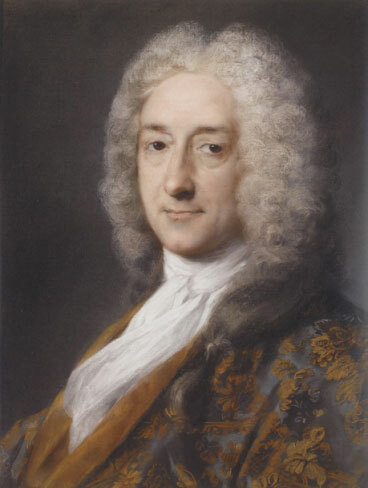 In 1715 Poleni became professor of physics, in addition holding the chair of Astronomy and Meteorology, and was invited by the Venetian Senate to investigate the problem of hydraulics relating to the irrigation of Lower Lombardy. He was appointed to the chair of mathematics at Padua in 1719 which had been vacated by Nicolaus Bernoulli. In 1717 he published a major treatise on hydraulics and hydrodynamics—De motu aquae mixto libri duo, which describes estuaries, ports and rivers. In 1710 Poleni was elected a fellow of the Royal Society of London, upon proposal by Sir Isaac Newton. 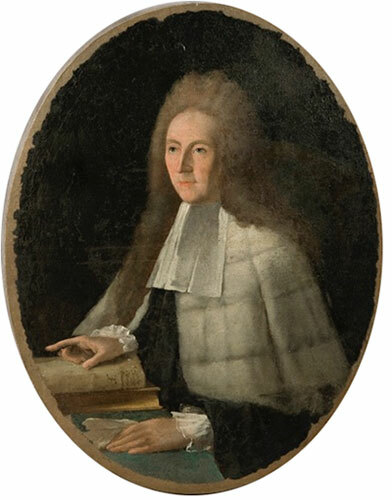 In 1715 he was honoured by being proposed by Gottfried Wilhelm von Leibniz, a correspondent of him, for election to the Berlin Academy of Science in 1715. In 1723 he was admitted to the Academy of the Institute of Sciences of Bologna. In 1724 he was appointed a partner of the newly founded Saint Petersburg Imperial Academy, starting his correspondence with Leonard Euler. In 1739, the prestigious Académie Royale des Sciences of Paris admitted him among its members. Poleni observed the solar eclipse in 1724 and wrote a treatise on the topic which was published in the following year. From 1739 he taught experimental physics, since by this time he had available a physics laboratory. It was the first physics laboratory to be established in an Italian university. In 1743 Poleni was invited by the Pope and get a significant contribution to consolidation of San Pietro's dome in Roma. 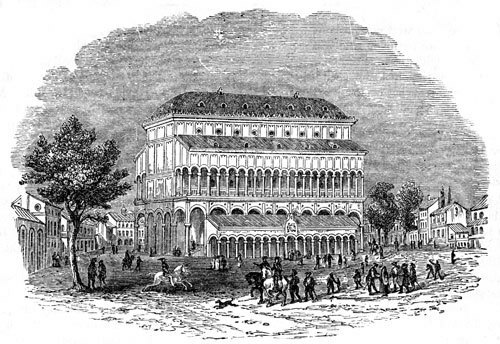 Poleni was appointed to the chair of Nautical Studies and Naval Construction at Padua in 1756. From this time he taught nautical sciences and shipbuilding. 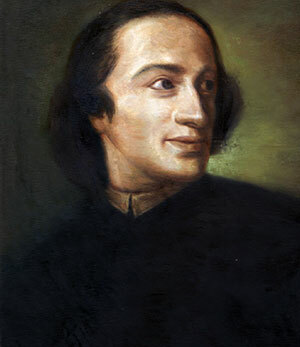 A music-lover, Poleni was the patron of Giuseppe Tartini (1692-1770)—a famous Italian composer and violinist (see the nearby image). On 30 December 1708, obeying his father, Giovanni Poleni married to Orsola Roberti (1686-1737), who was from a high ranking and noble Bassano del Grappa family. The family had six children, five boys and a girl. The first-born was Jacopo (Giacomo), a very talented boy, born on 18 October 1709, died in 1747. All of the boys of Poleni pursuit religious career, with the exception of the last, Eugenio (1717-1736), who was destined to give succession to the family, but died only 18 years old, to the severe grief of Marquis Giovanni, who in 14 months lost three dear people—his son, his wife and his father. Poleni had three other sons: Bernardo, Luca, and Francesco, and one daughter—Elisabetta, who married to professor Giulio Pontedera, an Italian botanist. Giovanni Poleni, who since the 1720s had suffered from violent headaches due to an accident, died in Padua on 15 November, 1761, after a few days of rapid worsening. The autopsy, performed by his colleague and friend Giambattista Morgagni, revealed that the death had been caused by aortic aneurysm.